Before joining West Wing Writers, Ilana worked with the Emmy-nominated writing and production team at HBO’s Real Time with Bill Maher. While there, she learned from some of the best and most incisive minds in political commentary. Prior to Real Time, Ilana developed an arts education program at the Los Angeles Museum of the Holocaust, and worked to preserve essential stories of history and humanity. 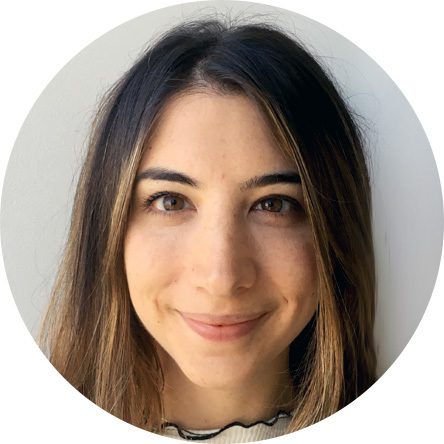 Ilana has a knack for storytelling across mediums: She has worked as a research and writing consultant for nonprofits, tech companies, and branding agencies. Her first job out of college was at a movie studio, where she read hundreds of movie scripts — all of which she imagined would star Will Smith. None of them did. She has blogged for the Huffington Post and her personal essays have been featured in Tablet Magazine. Originally from the suburbs of Washington DC, today Ilana lives in Oakland. She has a detailed opinion on virtually every coffee shop in the Bay Area. Just ask.